Tamturbo is excited to announce a new addition to our fast-growing partner network. 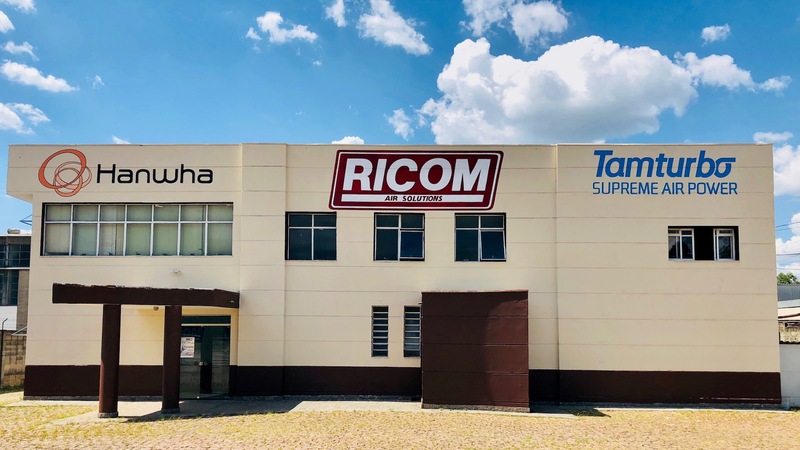 RICOM, based in Jundiai, near Sao Paulo, Brazil, is a true compressed air professional with multiple locations in Brazil. RICOM can offer full services to customers including compressed air solutions, “compressed air as a service” and also air and energy audits. “RICOM’s competence, reach and resources are excellent, serving their customer needs – what ever those may be.”, says Hannu Heinonen, Vice President Americas of Tamturbo. The company has a large portfolio of global customers like Petrobras, Vale, Pirelli, Coca Cola, Hyundai and others, many of whom are Fortune 500 companies. RICOM sees a good potential in Brazil where need to truly oil free technology for producing compressed air is expected to see strong growth. “Especially, Food and Beverage and Pharma are large industries in Brazil and customer don’t want to take any risks of oil in the compressor getting into their processes.” tells Hannu. Energy savings and savings from virtually maintenance and service free operation are benefits the Brazilian market needs and value. “Following presentation of the Tamturbo® technology to multiple customers, we have a full confidence this will be a successful product for RICOM and Tamturbo.”, says Mr. Ricardo Martin, the President of RICOM. In Brazil and also globally, many customers use “oil free” screw compressors which contain a large amount of oil and are both expensive to maintain and lose efficiency when operated. “The Tamturbo® compressor has no oil and the compressor core has absolutely no mechanical contact. This means very long lifetime and no wear and tear with high and unchanged efficiency. And this”, says Mr. Martin, “is what the Brazilian customers really like”. RICOM is in perfect position to help their customers find the perfect solution for their 100% oil free compressed air needs, from audits to planning to installation and support with 24/7 real time monitoring.